Transport Phenomena in Micro Systems explores the fundamentals of the new technologies related to Micro-Electro-Mechanical Systems (MEMS). It deals with the behavior, precise control and manipulation of fluids that are geometrically constrained to a small, typically sub-millimeter, scale, such as nl, pl, fl, small size, low energy consumption, effects of the micro domain and heat transfer in the related devices. 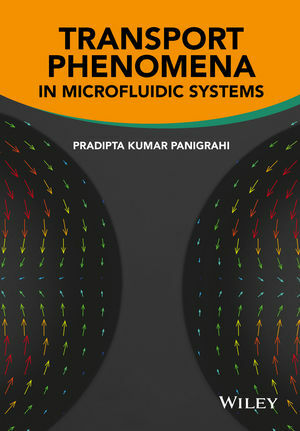 The author describes in detail and with extensive illustration micro fabrication, channel flow, transport laws, magnetophoresis, micro scale convection and micro sensors and activators, among others. This book spans multidisciplinary fields such as material science and mechanical engineering, engineering, physics, chemistry, microtechnology and biotechnology. Pradipta Panigrahi is a professor and head of the Centre for Laser Technology, IIT Kanpur. He obtained his PhD in Mechanical Engineering from Louisiana State University, USA, in 1997. He was awarded a master degree at Louisiana State University in mechanical engineering in 1993 and another master in system science in the same institution in 1997. He obtained his B.Sc degree in echanical engineering at UCE Burla, Sambalpur University, India. His areas of interest include optical techniques, turbulence, hot wire anemometry, Color Schlieren and design of thermal systems. He has published over 100 international journals, books and conference proceedings on a range of subjects including digital holography, particle image velocimetry, laser interferometry, liquid crystal thermography and soft computing based flow control. He was awarded the Swarnajayanti Fellowship by the Department of Science and Technology (India) in 2006. In 1981, Dr. Panigrahi was awarded the National Scholarship.